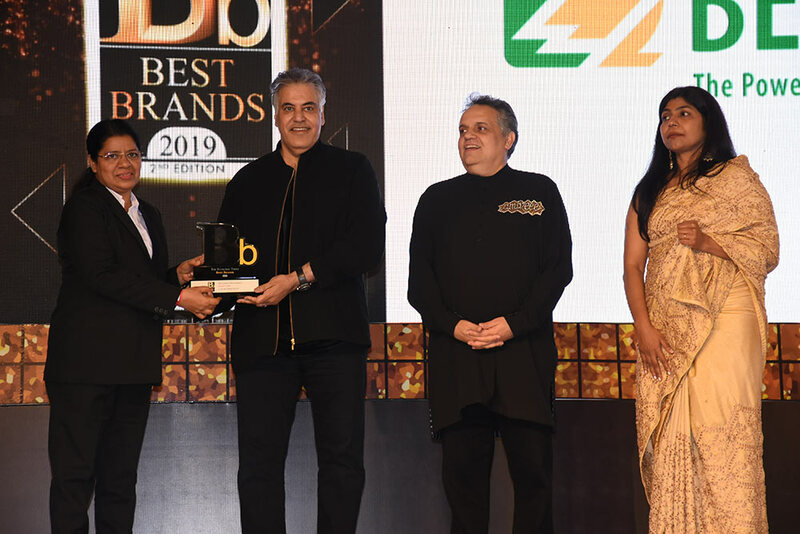 Bender India received the prestigious ‘Economic Times Best Brands 2019‘ award in Mumbai on 29th March 2019. The Economic Times Best Brands is a prestigious and credible forum that recognizes brands across various sectors including Fast Moving Consumer Goods (FMCG), Lifestyle, Banking, financial services and insurance (BFSI), Healthcare, Education, Technology and Luxury. The key brand attributes against which the brands were rated included thrust on innovation, stylishness, uniqueness, brand engagement, heritage and trustworthiness. The recognition was conferred upon Bender based on the results of an independent consumer survey, conducted by The Economic Times in association with research agency ‘Nielsen’, across 15 industries across 12 tier 1 and tier 2 cities. Ms Abila Jose received the award on behalf of Bender India at a glittering ceremony in the Sahara Hotel.